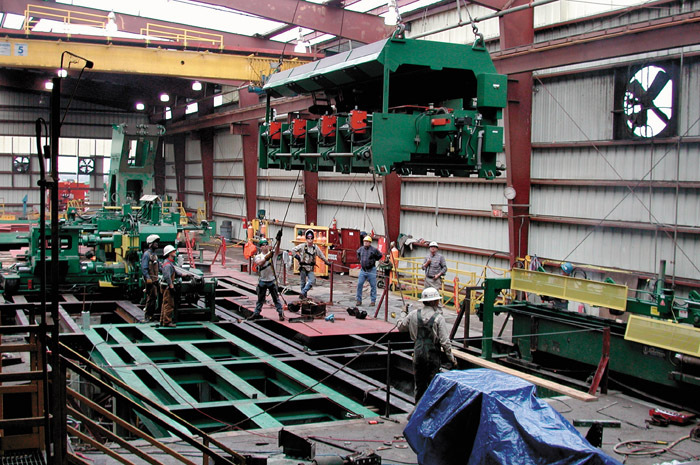 Timber Processing’s April issue spotlights Jordan Forest Products’ overhaul of its Barnesville, Georgia green end that includes an extended length infeed/sharp chain line reconfigured by Advanced Sawmill Machinery. 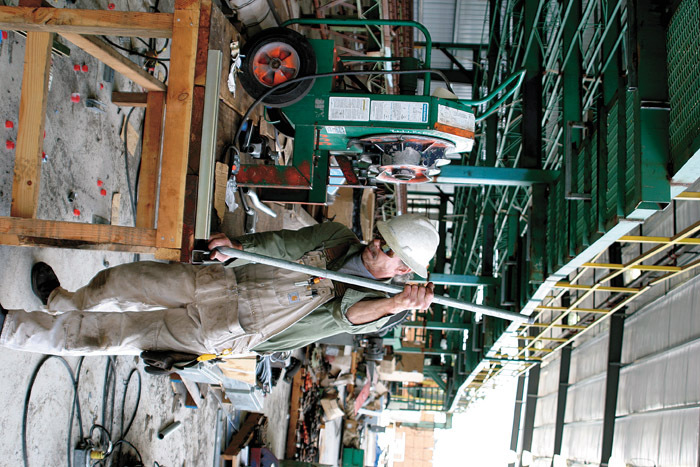 Survey results reveal that most softwood lumber mills are committed to maintenance, but it takes planning and teamwork. 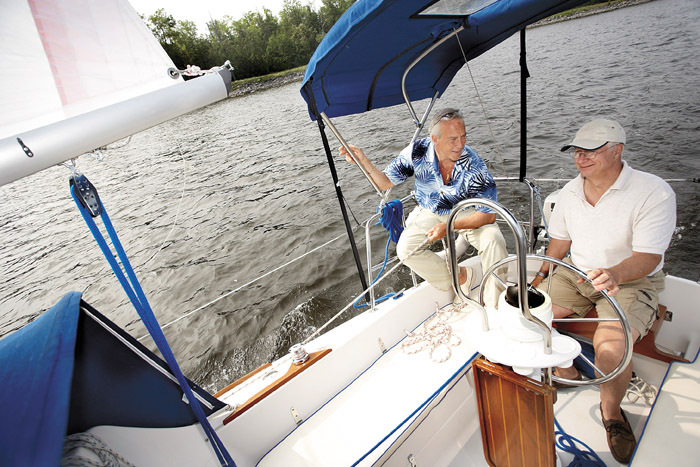 A Special Section reports on various ways in which suppliers have maintenance in mind. John C. Hampton, the man who guided Portland, Ore.-based Hampton Affiliates into one of the most progressive, respected and successful sawmill businesses in the nation, died surrounded by his family at his Portland home March 15, following a year long battle with cancer. He was 80. Hampton, who was Timber Processing’s Man of the Year in 1993, became CEO of the Hampton companies in 1970 and served in that capacity until 1995, after which he continued to serve as the Chairman of the Board. 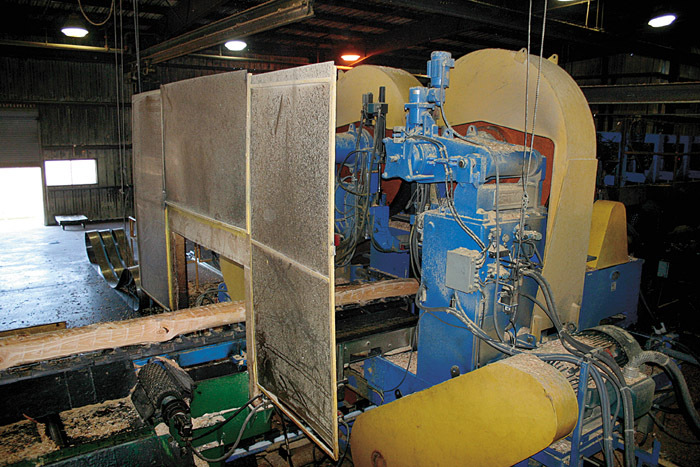 In the nearly two years since its purchase of Weyerhaeuser Co.’s southern pine sawmill here, Jordan Forest Products, LLC has spent $10 million to renovate the green end, revise its energy system and alter other aspects of the operation. The mill has moved from single-shift annual production of 95MMBF to two-shift output of 165MMBF (with 200MMBF in sight), meanwhile reducing log diameter input. A computerized maintenance program is standard operating procedure for 56% of the softwood lumbermen who answered a recent Maintenance & Quality Control questionnaire. The 40-question survey appeared on the Timber Processing and Southern Lumberman magazine web sites as well as in the magazines. It addressed a variety of maintenance and quality control topics. Continuing a recent history of innovation in the filing room, Simonds has developed an automatic machine for straightening teeth on band saws. This machine has been developed using the partnership in Switzerland that brought several important firsts to market in the last 15 years, including the first practical machines for automatically leveling band saws and circular saws and for tensioning bands. Ask yourself this question: Could you leave your business next week for a three month holiday with limited access to your cell phone or the internet? How would your business look when you came back? An exit strategy does not mean the end of your involvement with your business—it is the beginning of your freedom to choose how you will be involved. The Swanson Group, Noti, Ore., completed what might be a “record” installation of gigantic proportions. 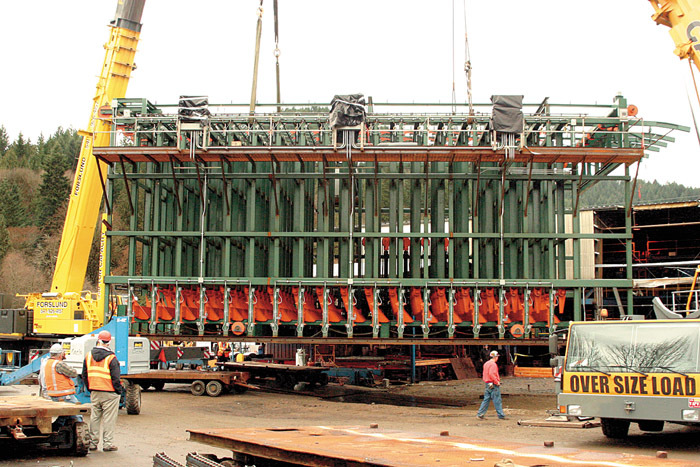 Installing a 24 ft. dimension lumber bin sorter and stacker is daunting at almost every level, especially when considering the sheer size of the steel and the downtime typically required to complete the task. Signode’s Tension-Weld Combination Tool for Polyester Strapping is easy to operate with its two-strap loading and built-in weld cool time. At 9.5 lbs. it is the lightest tool in its class, and it applies up to 600 lbs. of tension with high-strength friction weld. There are few wear parts to replace and no adjustments necessary. 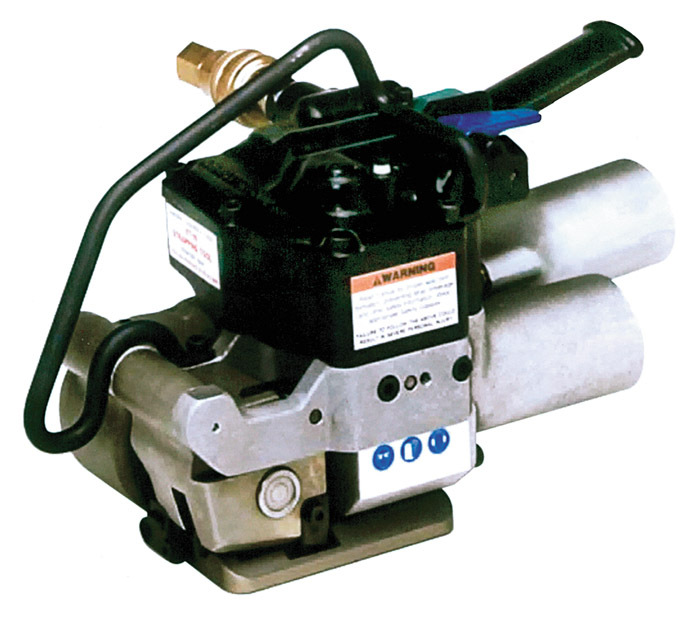 All metal and alloy parts provide long-lasting, low-maintenance operation.